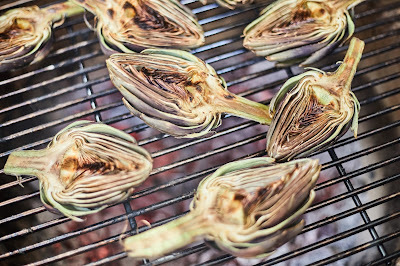 They might look intimidating, but artichokes are simple and delicious. 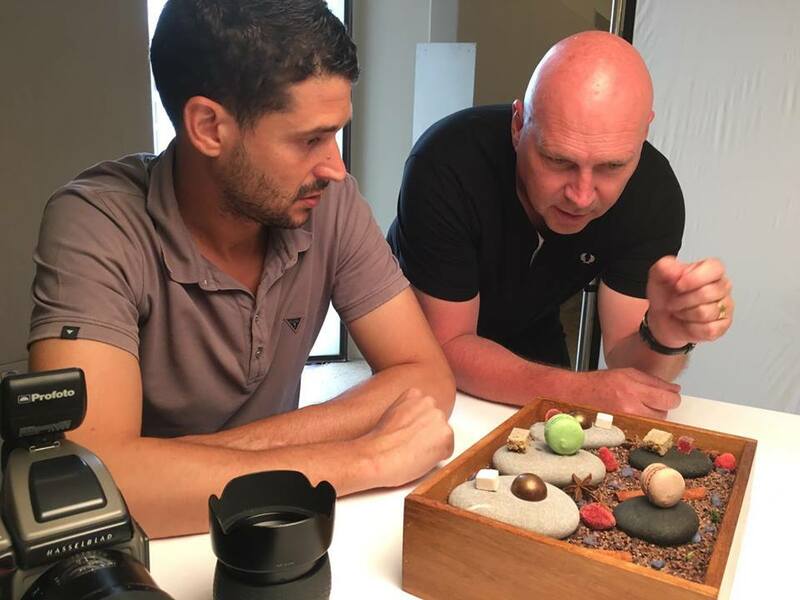 Ok, I know they can be a little fiddly and they do need a lot of care and attention to prepare, but once you’ve got the hang of it becomes easy and you’ll wonder why you never bothered to prepare and cook them before. that myth is no longer believed. Artichokes are rich in fibre, vitamin C, potassium and folic acid, as well as naturally fat and cholesterol free. Moreover, the leaves of artichokes are known to reduce the levels of bad cholesterol and increase the levels of good cholesterol (HDL or omega-3 fatty acids). After Italy, Spain is the largest producer of artichokes, growing about 30% of the world’s supply and is the major exporter. Several different varieties are grown around the world and cultivation is grouped geographically. In Spain, the type that is most widely available is called “Blanca de Tudela.” The varieties vary slightly in shape, size and color (green and/or purple). 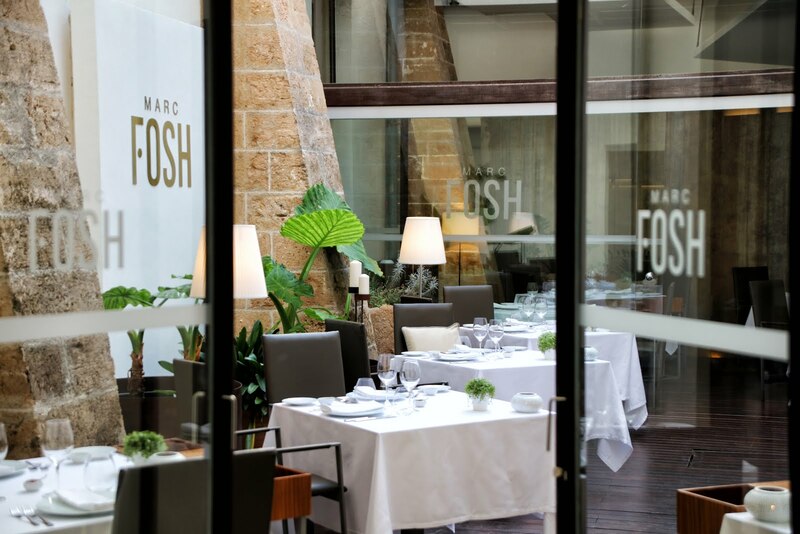 It is generally harvested in autumn and winter in Spain, although artichokes can be found in markets through spring. 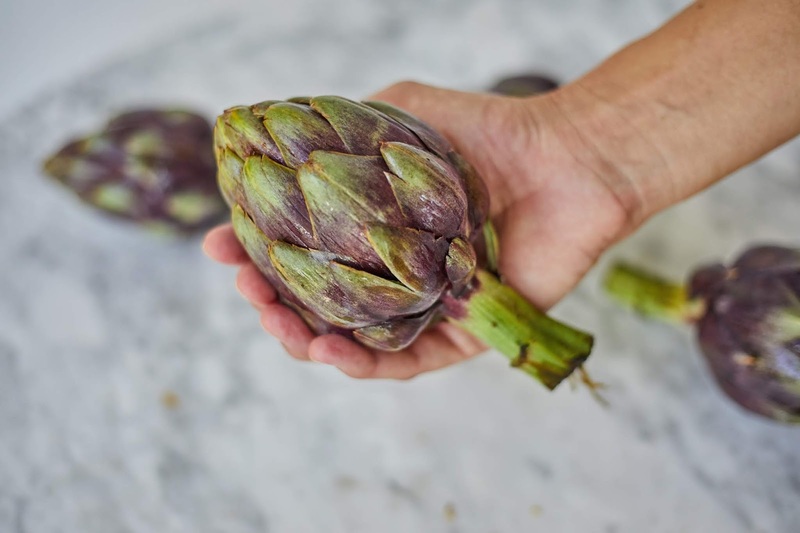 When buying artichokes, look for ones that seem ‘heavy-for-their-size’. Artichokes with a tight leaf formation are also preferred and the leaves should "squeak" when pressed together. 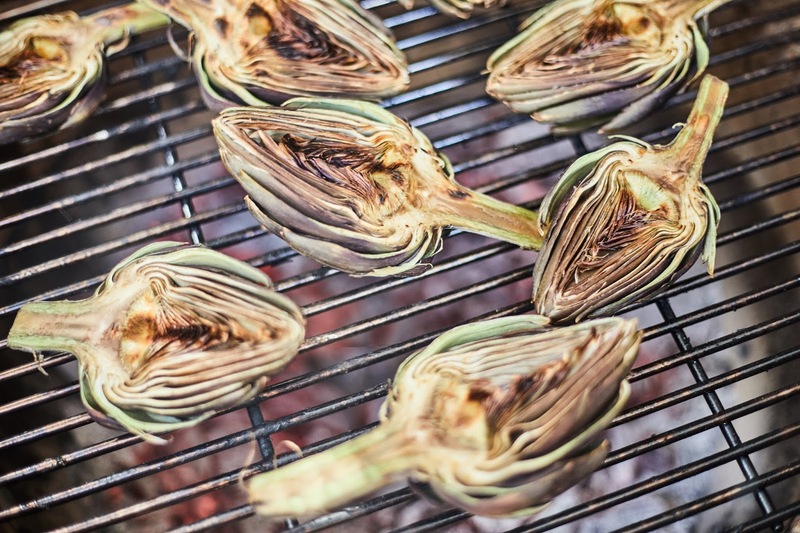 Heavy browning on an artichoke usually indicates it's beyond its prime. They do not keep terribly well in their fresh state but once cooked (traditionally in a Blanc) they will keep for 2-3 days. Artichokes are incredibly versatile; they can be used as a garnish with other ingredients or as a first course in their own right. They are fantastic in risotto, make a great soup and are often eaten with hollandaise or aioli. They also make great partners for potatoes, truffles, mushrooms, bacon and anchovies. In Italy, raw baby Artichokes are finely sliced and tossed in olive oil, lemon juice and shaved parmesan to make an excellent appetizer that’s bitter, sharp and salty. Here in Spain they are known as “Alcachofas” and the Spanish love them fried with Serrano ham and garlic. In my recipe I’ve added wild mushrooms, truffles (optional) and a little dry sherry. Artichokes are incredibly versatile and they make awesome partners for truffles, mushrooms and Serrano ham. Quarter the artichokes and scoop out the hairy centre with a spoon. Heat the olive oil in a large frying pan over a medium heat. Sauté the onion and garlic until soft and add the wild mushrooms and Serrano ham. Cook for 1-2 minutes and add the flour and stir well. Add the dry sherry and vegetable stock, stir well and cook for about 2 minutes until the sauce thickens. Add the artichokes, lemon juice and warm them through. Scatter with sliced truffles and chopped chives. Season to taste and serve immediately. Heat the olive oil in a large heavy-bottomed saucepan. Dust the chicken very lightly with flour and seasoning. Cook over a high heat for a few minutes, until a golden crust has formed. Lower the heat and add the onions, garlic and bay leaf. Cook for 3-4 minutes without colour until soft. Add the white wine and sherry vinegar to the pan, allowing the wine to bubble and reduce for a minute or two. Add the chicken stock, cover the pan with a lid and braise the chicken very gently for about 30 minutes, stirring halfway through. Just before serving, add the cooked artichokes, chopped tarragon and the juice of 2 lemons. Heat a pan over a medium heat and add the olive oil. Gently fry the chopped onions and bacon for 2-3 minutes, or until lightly coloured. Add the sliced carrots, artichokes and mushrooms and and gently fry for 1-2 minutes, then add the garlic and thyme. Increase the heat, add the wine and cook for 1-2 minutes, or until the volume of the liquid has reduced by half. Add the stock and reduce the heat to a simmer. Cover the pan with a lid and cook for 3-4 minutes, or until the vegetables are tender. Remove the lid, increase the heat to high and cook for a further 3-4 minutes, or until the liquid has reduced to a thick glaze. Stir in the chopped parsley and season, to taste, with salt and freshly ground black pepper. To serve, spoon the vegetables into a bowl and serve with crusty bread on the side.